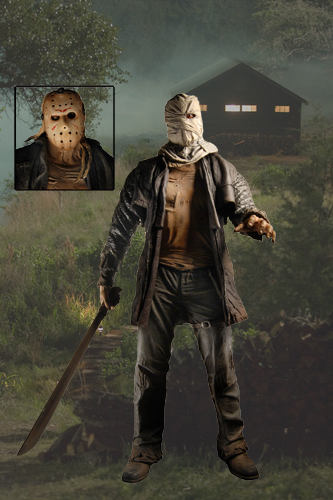 This 7″ scale action figure is a tribute to everyone’s favorite momma’s boy — Jason Voorhees! Based on the 2009 Friday the 13th feature film, Jason is back and it means sheer terror for the good people of Camp Crystal Lake. The figure features an incredible level of detail and is articulated for posing. Jason includes an interchangeable head and a machete accessory. Ages 18+.